The goal is to get a baby girl gifts that she will love and cherish. The standard go-to gift is blankets and stuffed animals? But how many of these does one child really need? 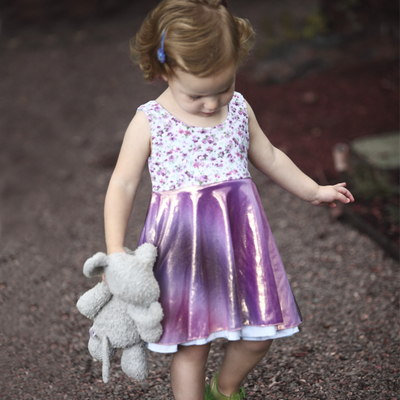 That's why our Original Reversible Twirly Dresses® are so great to give as presents. They are designed to have some growing room and being her first official twirly dress will most likely be treasured as a keepsake and not just out grown and forgotten. With 2 fully circle skirts, she will have a great time practicing her spin. Super soft fabrics and 2 totally different sides, she can flip it for a new mood. Each dress comes with matching bloomers.